Doors open at 6:30 p.m., in the Sukup Performing Arts Wing at the Clear Lake Arts Center, 17 South Fourth St. in downtown Clear Lake, Iowa. 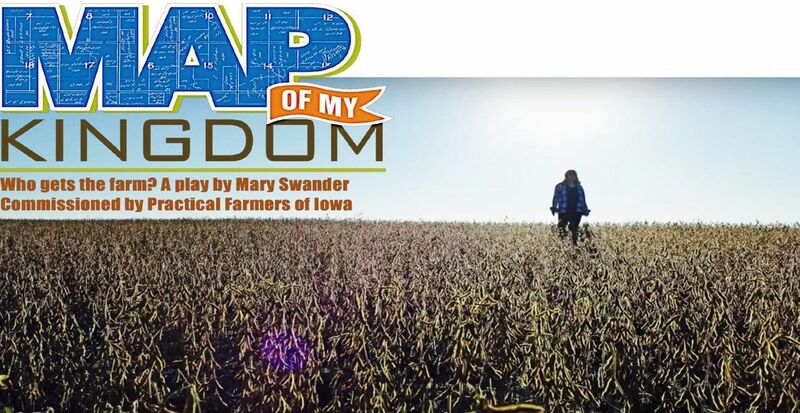 “Map of My Kingdom,” a play on farmland transfer by Iowa’s Poet Laureate Mary Swander, will be performed at 7 p.m. Friday, July 29. Doors open at 6:30 p.m., in the Sukup Performing Arts Wing at the Clear Lake Arts Center, 17 South Fourth St. in downtown Clear Lake, Iowa. Admission is free. Who will inherit the family farm? And, what will they do with it once it is theirs? These are interesting questions about the critical issue of land transition.